It’s been a while since I wrote about the natural beauty products I’ve been using up so you are now in for a treat! I have 10 beauty products to share with you in this post and tell you what I really thought about them so you can then decide whether you want to try them out. 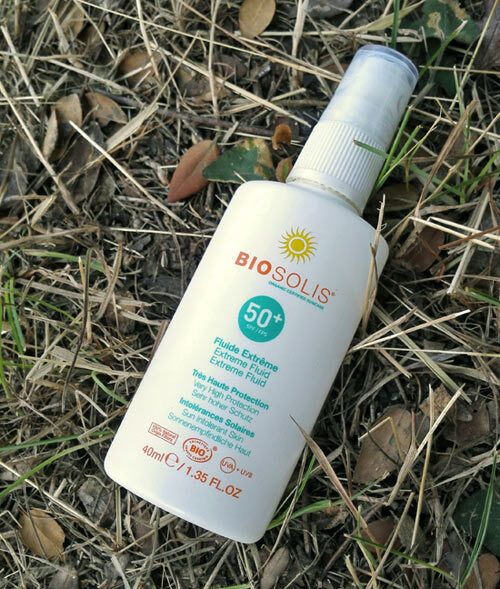 When I first discovered this natural sunscreen I was quite excited actually as it met my very strict criteria, just to mention a few: SPF50, UVA + UVB protection, prevention of brown spots, etc. I wrote a detailed review here so you can decide for yourself whether this is something you would want to try. I bought this day cream last year after reading some good reviews about it on various sites. I have mixed feelings about this cream now. This toothpaste is pretty unusual as it doesn’t foam, but it leaves the mouth feeling clean and refreshed. You can read more about this toothpaste and the brand in this post. It’s really natural toothpaste but I still prefer the foaming ones although I think I could probably get used to it. Another product from A. Vogel. This one I will be happy to re-purchase as it’s affordable, cleans the hair well and soothes the scalp at the same time. A good natural shampoo, suitable for all the family. This shampoo is one of my favourite shampoos and it was also featured in one of my previous empties posts. This is one product that I keep repurchasing (from Slovenia as it’s cheaper). I already bought a new bottle when I was on holiday in Slovenia in July. Just love the smell! I bought this toner on I Choose What I Use website, costing £8.00 for 100ml, which is actually quite affordable comparing to toners of the same size, costing more than £10. This toner is a blend of rosewater, aloe vera and essential oils and it helps to soothe skin redness and irritation. It left my skin feeling toned and refreshed but it wasn’t really moisturising – I guess this is because its purpose is to help prevent and heal blemishes and not to moisturise. A toner which helps to combat blemishes is always a welcome addition in my bathroom and I may consider buying this again in the future. I haven’t written a separate review for DGJ Organics Glossy Blondes Shampoo and Conditioner previously so this will act as a quick review instead. 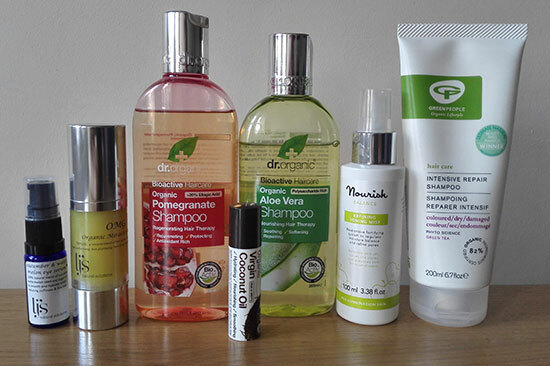 I previously wrote about DGJ Organics here and while I loved the way my hair looked after using their Hairjuice Shampoo + Conditioner, I thought that a less lengthy list of ingredients would be better. After using their Glossy Blondes Shampoo and Conditioner I was quite positive it helped to lighten my hair slightly, giving them nice shine and making them manageable, but I preferred their Hairjuice collection which made my hair much softer and much more manageable. So far I only found Green People Intensive Repair shampoo which gave me similar effect to Hairjuice collection (but not as good) – I will write a review about it in a separate post. I bought Lavera’s Repair Care Hair Tips Fluid as I needed something for my dry and split ends. 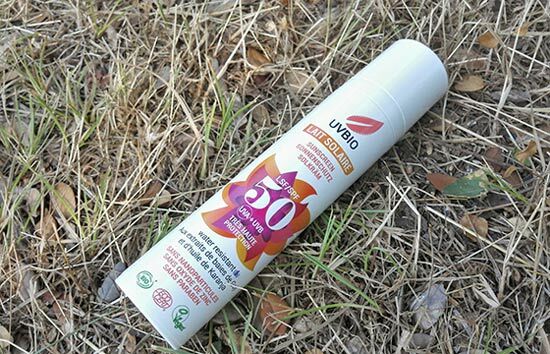 I actually came across this product in a beauty department of a Slovenian shop, it actually cost around 5 euros if I remember right, really affordable so I thought why not. The fluid contains amongst other ingredients organic macadamia nut oil, organic avocado oil and organic rose extracts to moisturise and strengthen the damaged ends. It’s actually non-greasy with light texture, making it easy to distribute on your hair. It smells pretty good too and it leaves hair feeling nice and soft without weighing it down. I haven’t tried any similar natural products for split ends before so I cannot compare it with anything else, but I do love it and I already repurchased it. I definitely recommend it. While browsing the same Slovenian shop I stumbled upon this Lavera Purifying Scrub, suitable for all skin types. I never tried it before so I thought I would give it a go. This is actually a gentle exfoliator which does the job and removes dead skin cells well. However, I prefer a bit more ‘scratchy’ exfoliator, something a bit rougher basically. This scrub will be great for those who prefer something gentle. Have you tried any of the products mentioned here? What products have you used up lately?